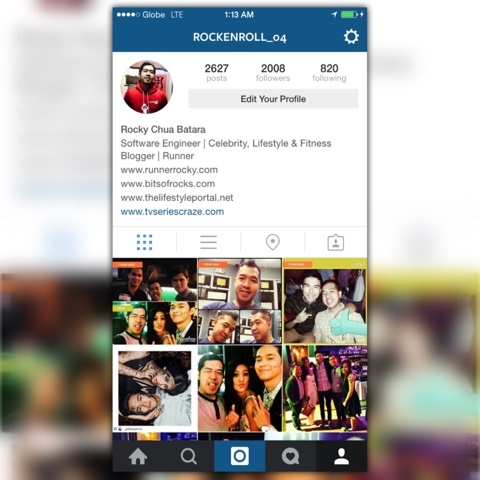 Home 2K Followers blogging blogs goal IG Instagram Rocky's Instagram Social Media @rockenroll_04 Breaches 2K Followers! Yours truly's official instagram account which is @rockenroll_04 now reached 2,000 plus followers! Yehey! Reaching the said 2K followers is one of my goals this 2015. I was so thankful that this goal was already achieved even though year 2015 was not yet concluded. I've reached it last Friday, July 17, 2015. In 2014 before the end of December, I've reached 1K followers in IG and I've included that in my yearender post. From that time, I've set another goal to reach 2K followers before the end of 2015. Thanks God I've achieved it earlier than expected!